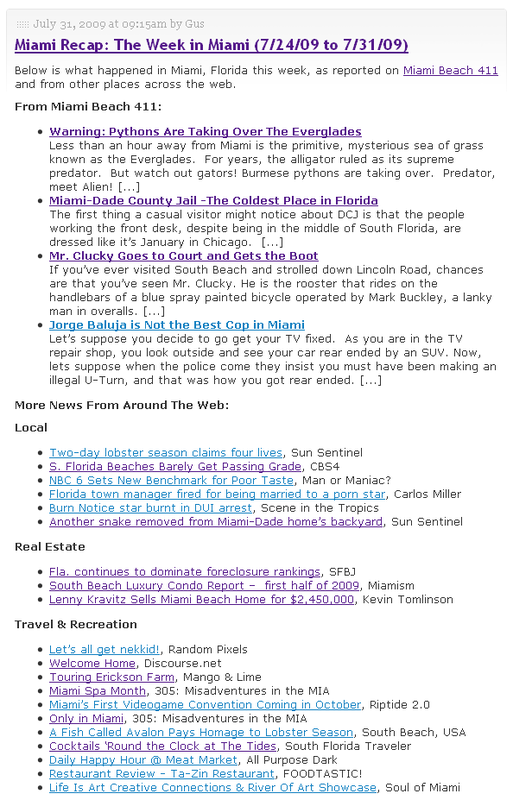 Since the chief here added a very handy home appraisal tool to the site; and since he asked me my opinion of it, here is my review of the Miami home appraisal tool. Perhaps in the future we can “review” other products or items of interest which could lead to contraversy/insight. Here is what I like about this appraisal tool: Lets say Mr. and Mrs. Buyer are out shopping for a home; and, as most home shoppers do, they’re driving by some properties which may be of interest to them. As they drive by a beautiful property, they jot down the address. When they return to a computer, they enter the address of the beautiful property..and ..walla they now have: a legal description, square footage, year built, the date the property last sold, and very importantly the amount it last sold for. Now, the Buyers can determine with some expertise whether or not they wish to contact the owner, or their real estate agent for a viewing. The only down side to the appraisal tool is the fact that it cannot produce an appraised value. Appraised values can only be done by comparison of the property to 3 sold properties and that’s a process unto itself. One other drawback is that this tool can only be used for properties in Miami-Dade County. Any questions or comments concerning the home appraisal tool will be responded to promptly.